I have no info for this specific disc. Recorded 22 January 1971 at EMI Studios. 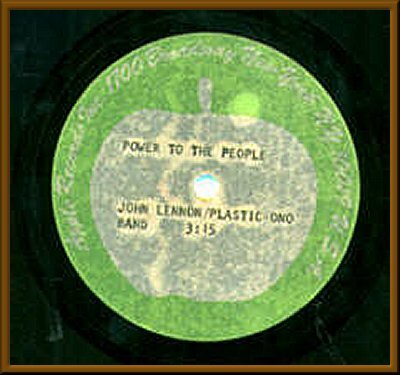 Several different takes and arrangements of "Power To The People" have surfaced and at least three acetates. It's very possible some of those takes are from or similar to the acetates. However, my guess is this is the standard take and mix.